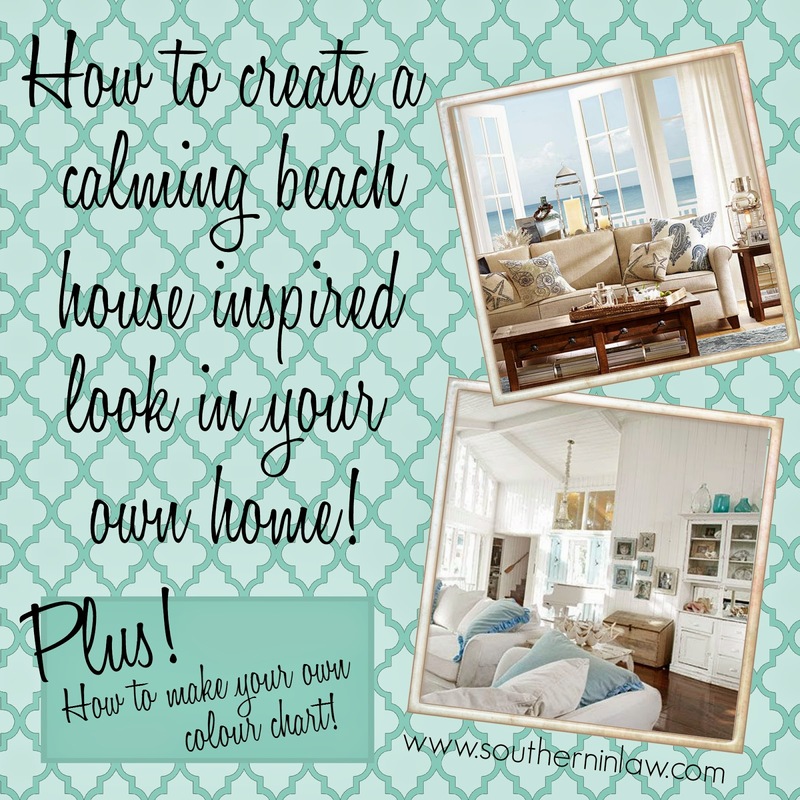 Southern In Law: SIL Style: Creating a Beach House Vibe in Your Own Home! 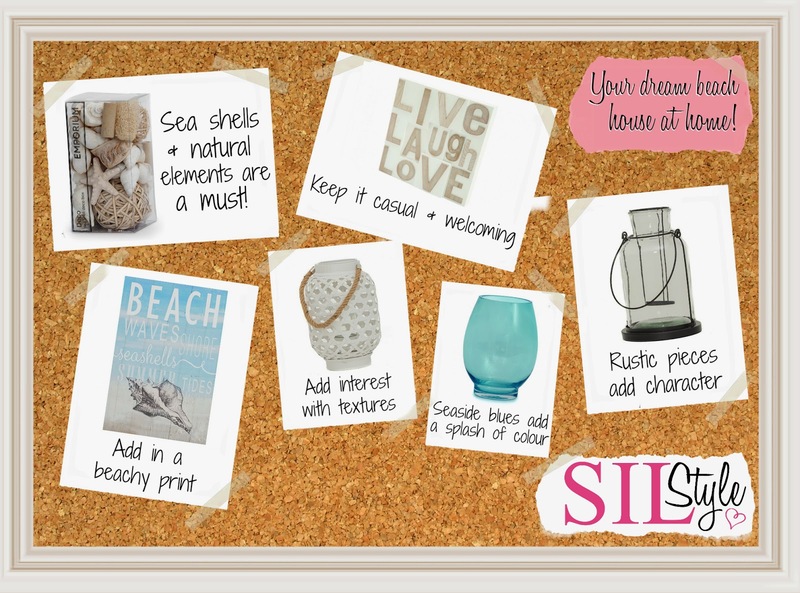 SIL Style: Creating a Beach House Vibe in Your Own Home! In our last SIL Style post, I shared my tips for creating your own Industrial Inspired Office Space, however, with summer fast approaching I'm dreaming of a beach escape - so I thought I'd share my tips for creating your own Beach House Paradise at Home! Whilst I love modern and industrial inspired interiors, I also love the shabby chic beach-house style and now is the perfect time to refresh your home with a beach inspired look! To me, beach houses are relaxing and tranquil - with crisp, clean colours and splashes of seaside blues. But you don't need to be by the beach to have that look - you can easily recreate the tranquil, calming atmosphere of a beach house in your own home. Minimalism is a must The best beach houses are those which are light, airy and tranquil. You don't want to overload your space with too many colours, textures or furniture pieces so be selective! You want to create a space that's open and inviting - not cluttered and chaotic. Try using a neutral palette with hints of colours. Whites, creams and pops of seaside blues and natural sand tones are perfect for a relaxing beachy look. White is a classic tone for shabby chic designs as it creates a fresh, light and welcoming feel. The whites will bounce light around the room and make it feel more inviting and open. To create a casual, beachy feel in your space, combine various furniture/decor styles (modern, rustic, etc) and materials (rattan, cotton, linen, etc). I love combining rustic pieces with more contemporary pieces. Think: a modern white sofa with a mix of turquoise and sand coloured throw pillows (like this Airlie Chevron Cushion and Batch Natural Cushion) and a gorgeous distressed natural wood coffee table. You don't want your room to be washed out from all the white. Soft sandy hues and distressed furniture will mirror the beach whilst adding in some seaside blues will add life, interest and personality to your room. I love combining whites, creams and blues, however, if you're not a fan of blue you could also mix in some tropical inspired green hues with plants and different decor pieces. These pops of colour will draw your eyes around the room, ensuring you take in the room as a whole. I love this Ikat Jar (also available in a smaller size and as a bowl) with its blue tones and beachy pattern. Whites don't have to be bland and boring - add interest to your space with pattern and texture. Instead of overloading your room with coloured decor pieces, try adding something like this Niall Tealight Holder or Albin Deco Balls which both add texture and interest without taking away from the calming feel of the room. Be sure to add in some seashells and natural elements too - I love this Sea Shell Deco Box from Super Amart with it's sea shells, sea sponges and star fish - perfect for filling this modern Scarlet Candy Jar with! 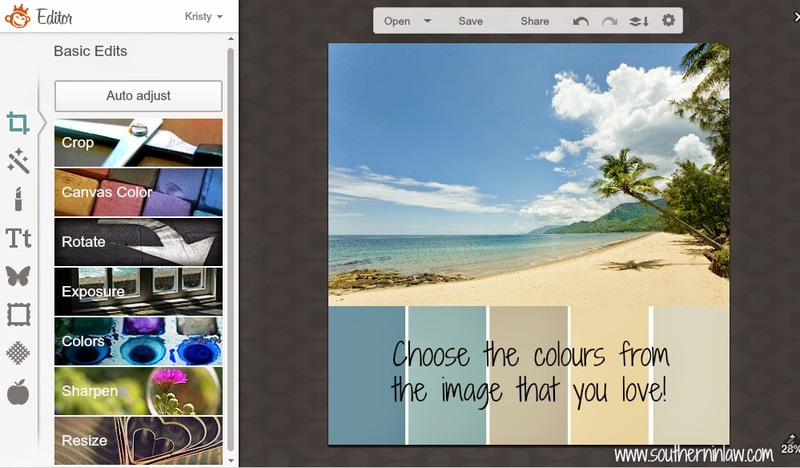 Be inspired by a beachy image you love - find out how to make your own colour chart below! When decorating any space, you want to have a colour scheme in mind. I loveeeee creating colour charts - whether I'm decorating a space or designing something for a client - so I thought I'd teach you how to make your own. 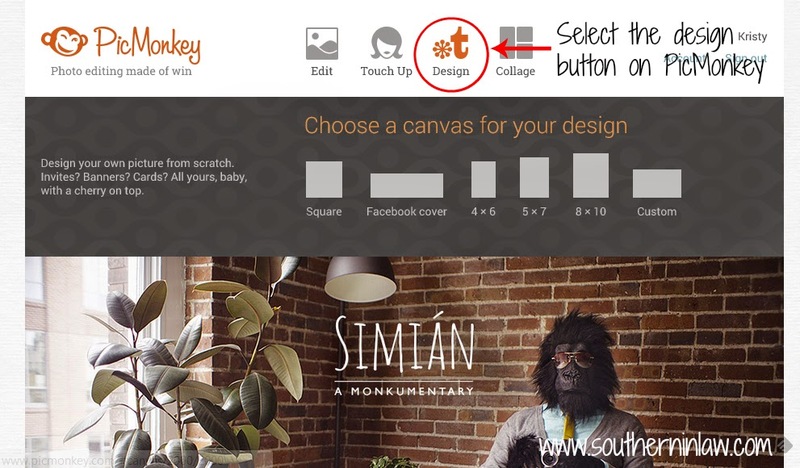 You can do this using any design program (PhotoShop etc), however, I'm going to show you how to do it using PicMonkey which is a free online photo editing tool! 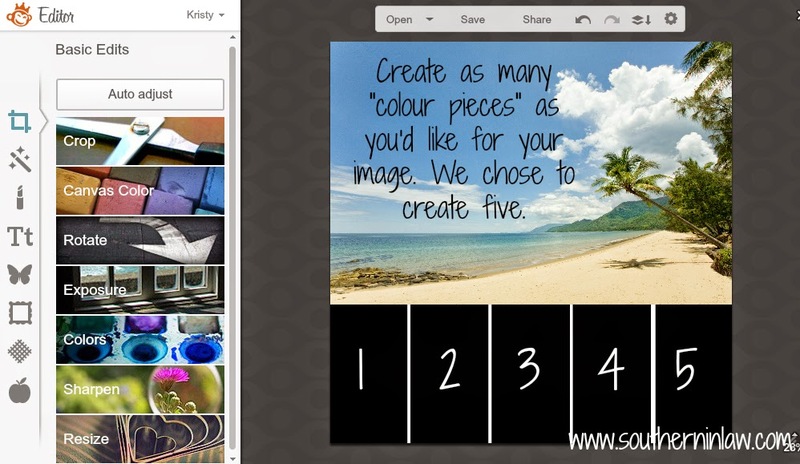 First, add in your image and then create shapes to act as your "colour pieces". 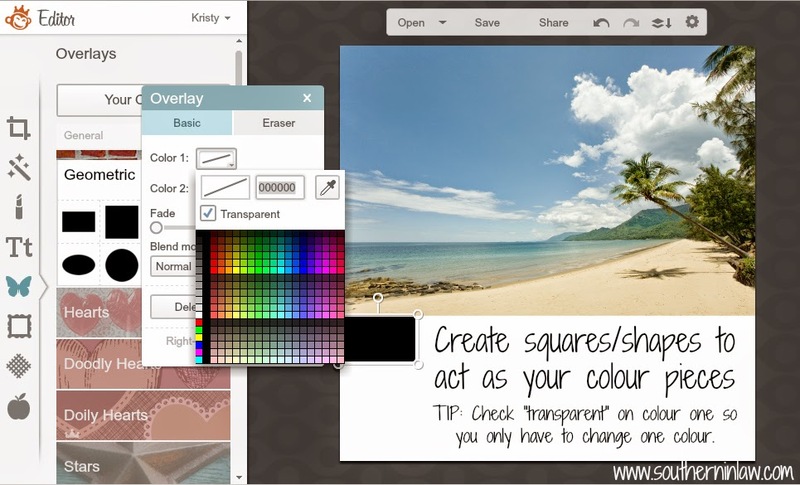 Tip: If using PicMonkey, check "transparent" on Colour 1 (the outline colour) so that you only have to change one colour on each piece. Create as many "colour pieces" as you'd like. We chose to create five for our colour scheme. Next, it's time to select your colours! 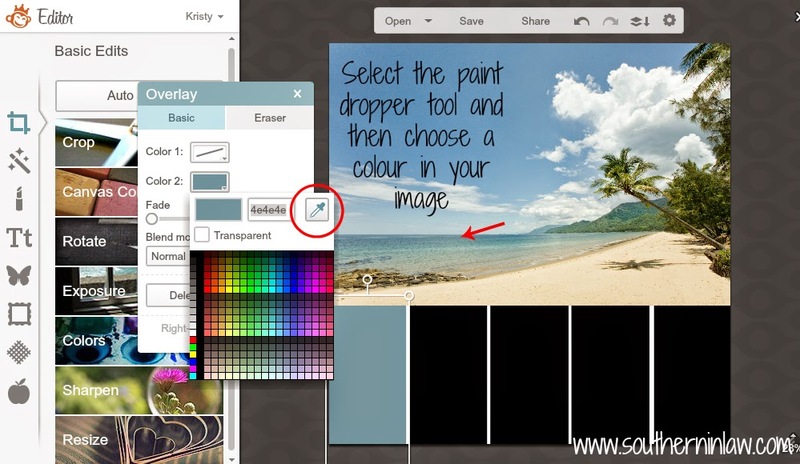 Click on the paint dropper tool (circled in the photo above) and then hold it over a colour on your image and click to select it. 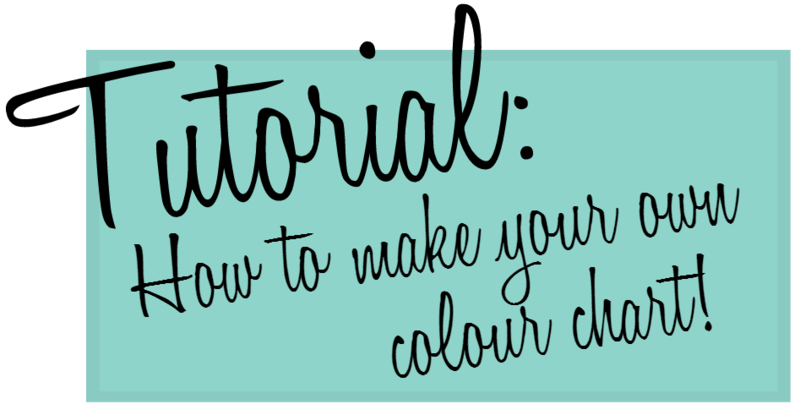 Repeat the process until you've chosen all of your colours and then you'll have your own colour chart to use as inspiration for your designs! This process can be used to create a colour chart from any photo for any need! 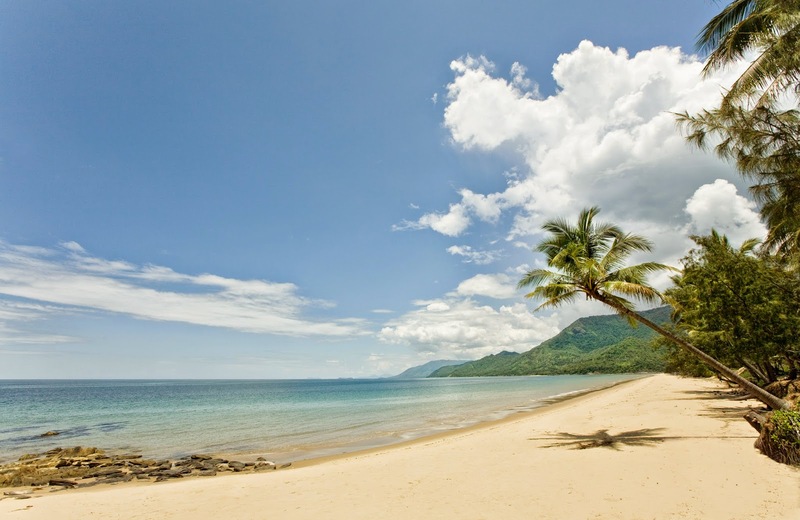 But tell me, if you could have a beach house anywhere in the world - where would it be? And what interior design style do you tend to stick to? This was a sponsored post for Super A-Mart. All opinions expressed in this post and interior design tips are completely our own and have not been influenced by the company in any way. If you're interested in working with Southern In-Law on a sponsored post, please contact us at southerninlaw@gmail.com for more information.